If you have a problem with double vision or droopy lids, think carefully before you drive. This also applies if you have cataracts (for instance, from medication), or your neck is very weak. Your eye doctor may be able to diminish your double vision by putting prisms in your eyeglass lenses. If your double vision fluctuates, getting the most effective prisms may take some trial and error. Use sunglasses and sun visors to reduce glare. Tape up your eyelids to cope with droopy lids. Ask your eye doctor for light-adhesive tape. Or try silk tape that’s used in hospitals. If reading is difficult, contact your local library. The librarian may be able to direct you to books on tape and CD, print enlargement machines, and computers with special screen magnifying software like ZoomText. Have your eyes tested regularly. This is especially important if you’re taking a steroid medication like prednisone, which can cause glaucoma or cataracts. Early detection can prevent blindness. National Library Service for the Blind and Physically Handicapped—Talking Book Center loans books and magazines on tape. Books, playback equipment, headphones and other aids are delivered by mail, postage free, to your home. Thousands of titles are available. Bureau of Blind Services, Illinois Department of Human Services has programs which help individuals adjust to vision loss. You can call 800.843.6154 (TTY: 800.447.6404) to learn about the department’s services and office locations. The American Foundation for the Blind suggests gadgets that can help you cope with low vision. Vision Aware offers strategies for coping with reduced vision in day to day life. 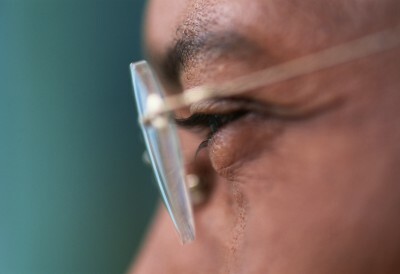 Glaucoma Research Foundation explains glaucoma, its treatments, how to use eye drops, and more. Watch Dr. Thomas Mizen discuss Ocular MG. Purchase the full-length DVD Ocular MG.